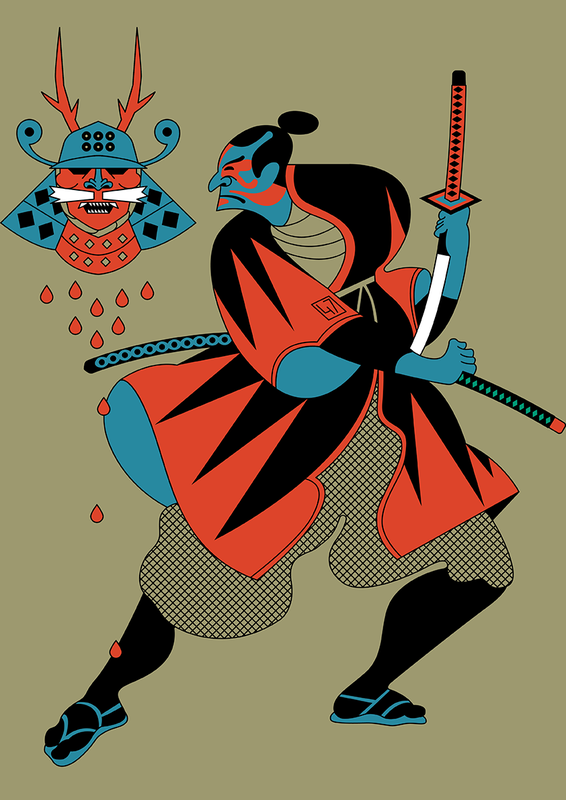 for this piece I was inspired by the sensation of revenge felt by the dishonoured and tormented ronins. they were samurais who served their daimy? asano naganori, obliged to be punished with seppuku for having assaulted Kira yoshinaka, the shogun master, who had previously insulted him. the revenge of the 47 ronins is a story of unconditional honour and courage. the proud declassed warriors that find their lost honour by carrying out their meditated and heroic revenge represent a timeless inspiration of payback.